Quest for the worlds funniest t-shirts. Let me tell you what I am doing currently. Right now I am traveling around and looking at funny shirts all over the world. I have found some really funny shirts that I know have been produced in my current location for over 15 years. I recently found out a five year old T-Shirt company that is now one of the biggest shirt sites in the world have actually gone out and gotten patents on designs this company has been selling for more than ten years longer than their website has existed. These poor stores that are producing them have customers like myself that buy in bulk from all over the world, but this big company whom I shall not name until the day they give me grief over selling these shirts. Has actually patented their designs. How is this possible you might ask, well I guess they saw the shirt, and had some artist reproduce it, then they patented it without the original company having any idea, and of course now its too late. 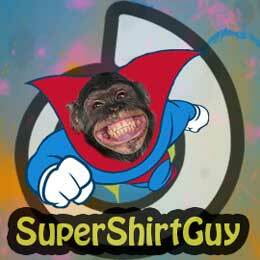 Anyhow I am on this quest to find all the best shirts and put them on my site, I have about 80 funny ones up now, and a few hundred to go. But right now I am not making money at this and funds are running a bit low, I am considering breaking into less competitive items, but then i don’t know if all my hard work on these shirts will be lost and I get known as a dress dealer instead or something. Anyhow, I have about 2000 shirts I have actually bought and am busy photographing, I have to show color variations as well of course. Lets hope “The Man” doesn’t see them all and patent them on me so he can stop me from selling them. The Birds and The Bees Hello world! Wow, my own blog!